Candles are always suitable decor for anyRoom, which you want to give an aura of romance, warmth and comfort. Is it possible to make a candle yourself with very quick and effortless efforts? Of course! 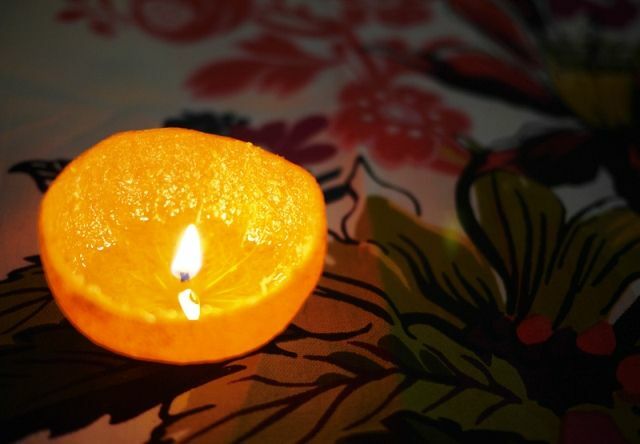 If you forgot to buy candles, but remember to buy tangerines, and a romantic dinner is about to begin, here's a great idea how to make candles from mandarin. 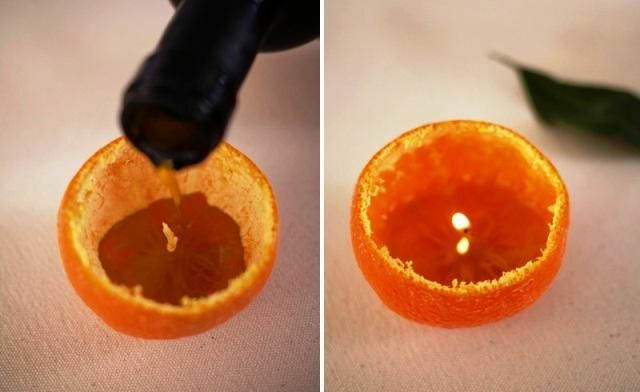 How to make candles from mandarin? 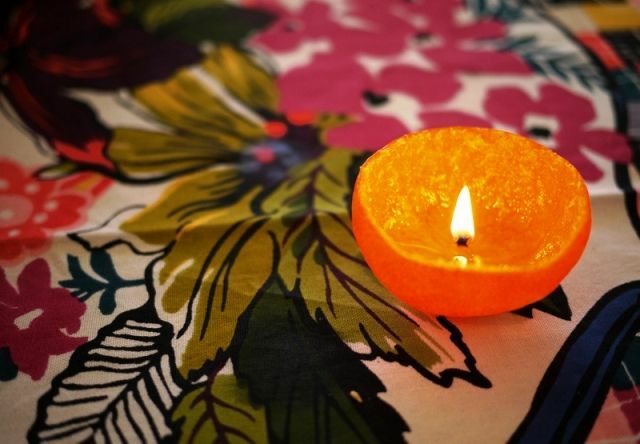 The side of the mandarin, which was attached to the stem, will be the bottom of the candle. 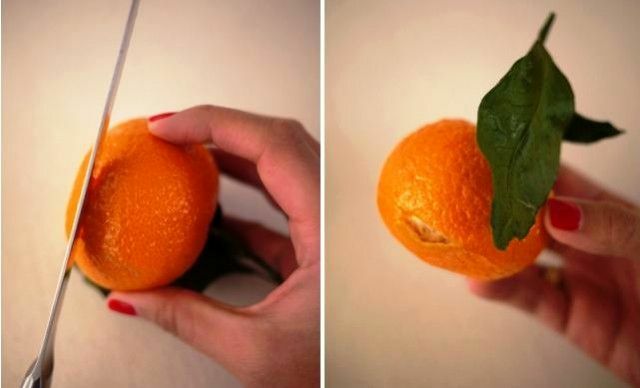 Carefully cut off the peel of mandarin about 1/3 from the top with a knife. Remove the cut off tip. That is why it is recommended to use fruits withEasily separated by the skin, which is famous for the variety of Satsuma mandarins (and not only this variety). 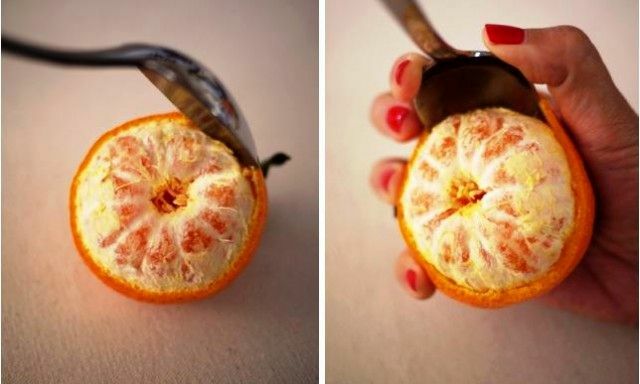 Carefully separate the mandarin slices from the peel, helping yourself with a spoon. Do not damage the middle of the fruit where the lobules are attached to the stem in the tree. 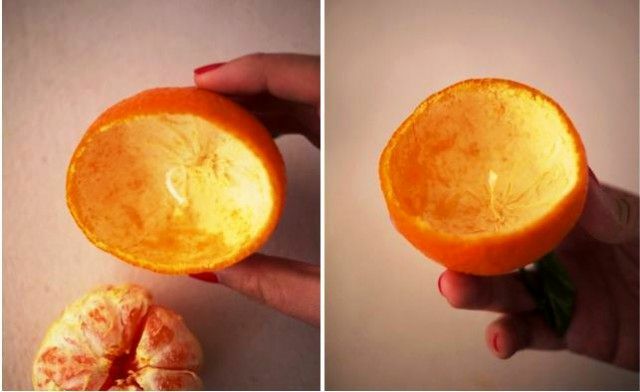 In the end, when you delete the mandarin,Stay core - inner white stalk. It will become the candle's wick. Straighten the stem so that it stands flat. If it's too long, cut off the excess with scissors. Pour a little olive oil into the rind so that the tip of the wick remains uncovered. For a couple of seconds, press down the uncovered top with a spoon and dip it into the oil. All! You can ignite! If the wick does not light up then, most likely, onToo much oil. Blot it and try again. Depending on the length of the wick-stalk, the candle should burn for at least a couple of hours. If you did not manage to keep the stem - it does not matter, put a match or an oiled (wax) rope in the skin. Remember that leaving a hot candle without attention is dangerous!